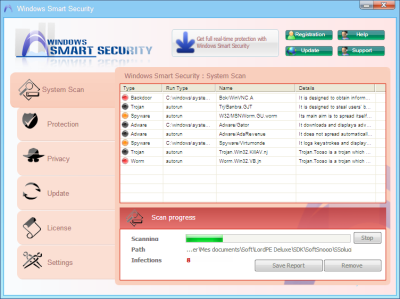 Windows Smart Security is a new scareware. This fake security application detects nonexistent infections to push users into buying a license. 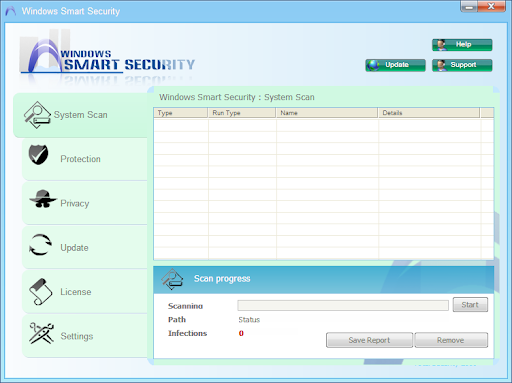 It is a clone of Total Security 2009 rogue. Once registered, the detected infections have disappeared without any cleaning. Updating the database displays a balloon message, but no network activity. BleepingComputer Windows Smart Security removal guide.